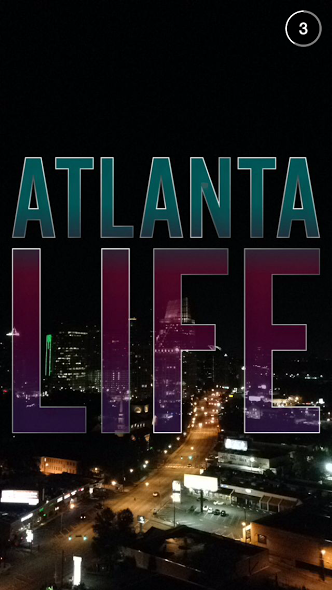 10 Things I Learned About Atlanta Via Snapchat Live – Giselle Ave. 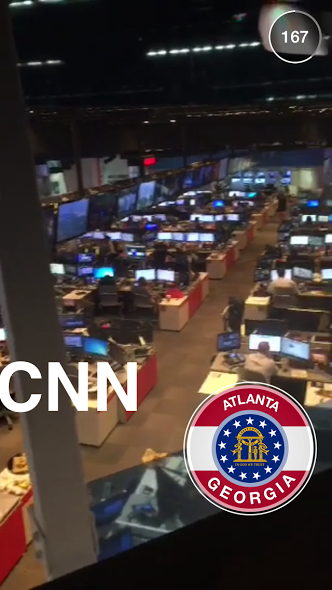 Yesterday, I spent most of the day obsessively attempting to make the Atlanta Snapchat Live Feed… well I failed. Ok, not necessarily a complete failure, I was told my story was pretty entertaining, so take that Snapchat Gods! 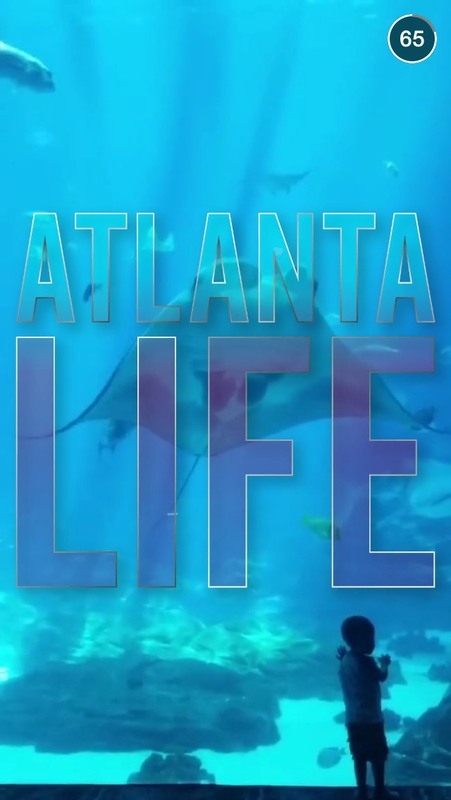 Anywho— yesterday, Atlanta was The Featured City on Snapchat’s live feed, and it was by far the most intimate glimpse of Atlanta Life. Of course, most people think they know everything there is to know about Atlanta thanks to “Love & Hip Hop Atlanta” or “Real Housewives of Atlanta,” but they are HIGHLY MISTAKEN! Yes, we do consider ourselves the Hollywood of the south, and if you look at how many major production companies choose Atlanta to film– you’d probably agree! But, there’s more than lights, cameras, and action going on in ATL! I really want to stress the level of importance this is for us social media geeks. Cities— across the GLOBE– are featured at random, and Atlanta finally made the cut! Today, Sao Paulo Brazil is being streamed LIVE! Snapchat is by far the most genuine social media platform around. I came across an article on Linked In from my fellow Snapper, Tessa, and it really shed some light on some things. In an article titled “3 Reasons Why You Should Take Snapchat Seriously (And It’s Not Sexting)” it confirms Snapchat is social media’s last hope to remain authentic. Enough about the why— here’s the WHAT! 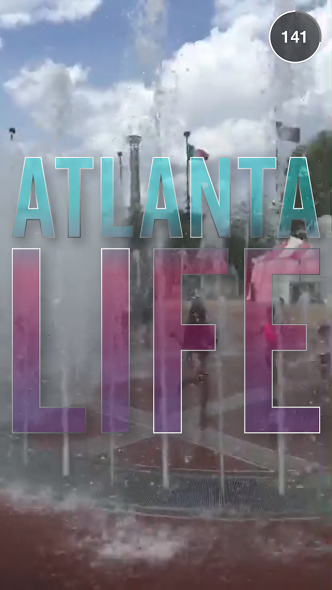 Check out My List of 10 things I learned about Atlanta via the Snapchat Live feed! 10. The Georgia Aquarium is the largest aquarium in the world.. and I haven’t been. 9. The Varsity is one of the oldest fast-food chains in Atlanta, although the Live Feed didn’t quite highlight the Varsity Experience. 8. 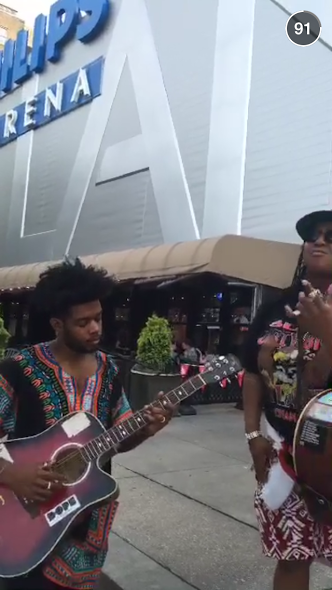 Music lives in Atlanta, always has and always will. 7. We don’t have beaches, we have the Chattahoochee River. 6. Atlanta is well-known for being home to Coca-Cola, and the CNN Center/News Station. 5. 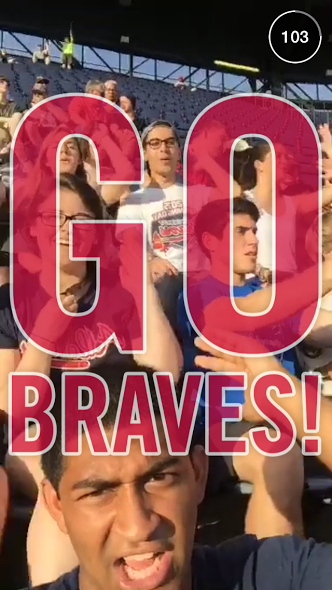 Atlanta is the land of the free, and Home of the Braves! 4. We are still boasting about the Olympic Torch that was last lit during the 1996 Olympic games in Atlanta. Centennial Olympic park is where you can find it. 3. Aurelio’s in Marietta is some of the best pizza. 2. You might find yourself stuck in traffic, even after 10PM on a Tuesday night. 1. The city shines bright at night. 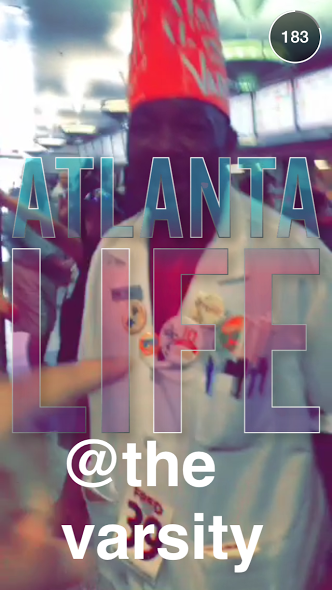 What did you hope to see during the Atlanta Live Snapchat feed? Follow us at “Giselle Avenue” to get a glimpse in the Life On the Ave!